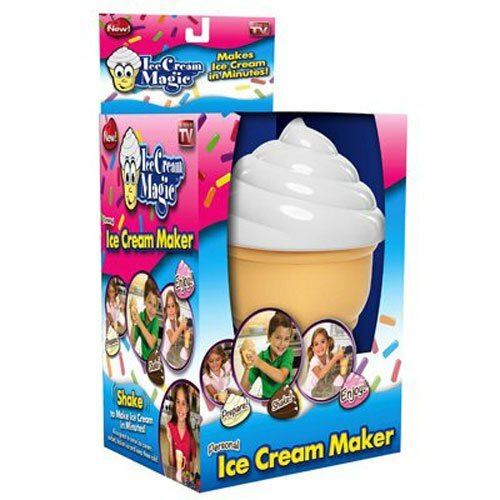 Make ice cream in a matter of minutes with the Ice Cream Magic Maker. You can make any flavor ice cream with the this home ice cream maker, and it will be ready to eat in a snap. Your kids can make their own ice cream using the Ice Cream Maker, which also makes low-fat and sugar-free ice cream. Instructions: Prepare, Shake, Enjoy. Also great to serve ice cream, sorbet, Italian ice and keep them cold. If you have any questions about this product by Idea Village Products Corp, contact us by completing and submitting the form below. If you are looking for a specif part number, please include it with your message.